Going for a product that is at least one step above the cheapest stuff is always a good decision. In most cases, that small difference in price brings a whole array of upgrades. Same goes for turntables. Most $100 models are fine, but investing into a $200 offers much better performance and overall user experience. We’ve done the research and selected a number of models that offer best value for your money. After we go over these, we’ll talk a bit about what you can expect from a $200 record player. As you’re about to see, this segment is pretty interesting. Audio Technica have done well to create a product that works well whether or not you take advantage of its primary feature: Bluetooth pairing. Although the process of pairing the turntable with speakers could be better handled, once achieved it makes for an exemplary listening experience which is really fantastic for the price range. ​The sound quality, on the whole, is pretty good for this price range, and Audio Technica have done a great job of cramming some decent internals into a fairly small offering. If you are in the market for a device which combines solid audio with some flashy extras like wireless pairing, then this might be the perfect choice for you. A very strong offering across the board. Feature packed with every possible connection you could ask for. Great value for such a unique and creative product. The adjustable scratch dial is easy to use and learn with. The build quality isn’t the most robust for something so portable. The design won’t appeal to everybody. Numark knew exactly what they wanted when making the eye-catching PT01 Scratch – an affordable and portable tool for DJs and artists to get creative with. 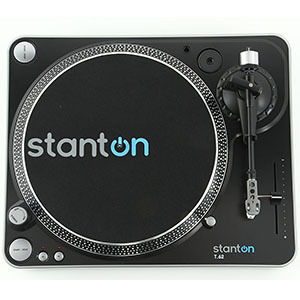 Performance is great and the turntable is packed with features for such a budget product. 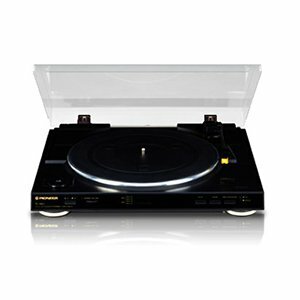 This isn’t a turntable that just sits on your desk – the Scratch wants to be picked up and played with! ​The design of the PT-01 is going to be pretty divisive. 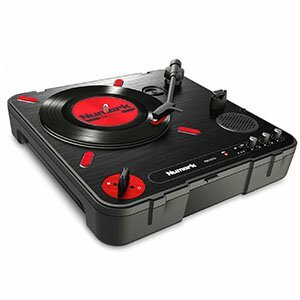 It is certainly a pretty flashy turntable, and the bright red highlights set it apart from the pack. But if that isn’t to your taste, then you will probably find it garish and tacky. One other issue is the build quality: considering it is intended to be portable and moved often, it could be significantly more robust. Sleek modern style that will look great in any home Hi-Fi setup. The direct driven platter is a rare find in this price range. Lack of ports is disappointing and could be a bit limiting. Definitely not the lightest or most portable of turntables. The T62 offers a sleek design, great build and even better sound. Stanton stepped into a crowded market to give the budget consumer the quality they’ve been waiting for! It might lack certain features like a USB interface and some ports, but the overall quality and sound is enough for us to forgive it. Great quality music in an affordable package. ​In terms of portability, the T62 offers a fairly compact model that is somehow a whole lot heavier than it looks like it would be given its size. This can make transportation a little more difficult than we would like from a device that, at this price range, is usually built with some element of movement kept in mind. With the PL-990, Pioneer has approached the problem of catering for the highly affordable end of the turntable market by stripping back many of the features which can bloat out the offerings of similar products in order to focus on sound. And the good news is that the sound is pretty great. A classic design tops off this bold entry. ​That said, the design is likely to be quite divisive. It is a call back to the heyday of vinyl and if that’s something you’re into then you’ll enjoy how well Pioneer have captured the golden age of record players. But if you prefer a more modern aesthetic, then the PL-990 simply won’t do a good job of ticking any of your boxes. The solid aluminum platter is a great addition at this price point.o the overall aesthetics. Great value for such a trusted brand name. Built-in USB interface is a must-have for any recording DJ! The looks are a bit dated to say the least. It might need some additional setup out of the box. A real classic. Gemini’s TT-1100 has been around for years and still stands strong today. Compact and durable with a gorgeous aluminum platter, it may be a little dated in its looks but this is still a feature-packed monster at a very competitive price! A great starting point for DJs and enthusiasts to build upon. Solid build quality considering the price. Performance that fits its main purpose quite well. No dustcover is really a cheap move by Numark. 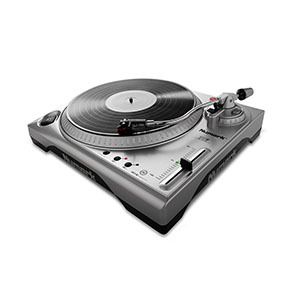 Numark TTUSB belongs to the category of entry-level DJ turntables. It brings all the necessary features and the type of performance to back it all up. Numark has definitely taken some shortcuts with this one, but ultimately it is a solid performer. If you are looking to get into scratching, this might be your ticket in. 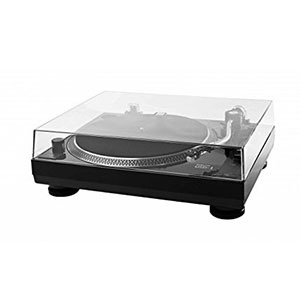 ​It is very disappointing that Numark has opted not to include a dust cover with this turntable given that this is not just a mere visual element but actually makes a big difference to the longevity and upkeep of the record player as a whole. This can only be a decision to cut costs, and we don’t like to see them taken in such a way as to actively damage the long term prospects of the product. Lots of control over its performance. Modular tonearm that allows for cartridge replacement. Decent performance that is consistent. Music Hall USB1 is one of their cheaper models meant for those who want decent tone as well as USB capability. It offers a lot of control with adjustable tonearm, anti-skate system, and a removable cartridge. If only it had a switchable amp, it would have been a superb deal in a very competitive price range. ​Some consumers may be put off by the fact that the USB1 has a plastic base which certainly does not feel as robust as competing products in this price range. While we agree that it isn’t necessarily ideal, it is worth noting that this improves its portability and means it is far easier to move to different locations without too much hassle. 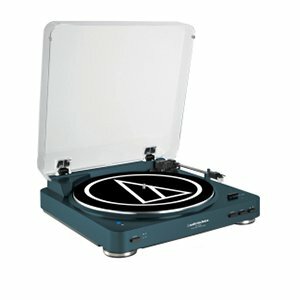 Overall, this is a good option for an entry level turntable. The C100A is a solid effort from Crosley, but a testament nonetheless to the fact that the market increasingly requires that lower end models offer more in the way of features even if that means sacrificing a little in some areas. The audio quality cannot live up to the implicit promise that this spartan feature list makes. ​This is a shame, as Crosley usually manages to deliver a fairly balanced overall experience, but this is notably lacking from a turntable which while it does a great job of capturing the vintage look of old record players from the golden age of vinyl, simple doesn’t have enough going for it to warrant the price tag. We would strongly advise that you look elsewhere. What we’ve said at the beginning of this guide is absolutely true. 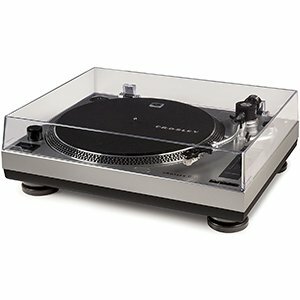 The number of upgrades you get with a $200 record player compared to a $100 is much more drastic than the jump from a $200 to $500 turntable. 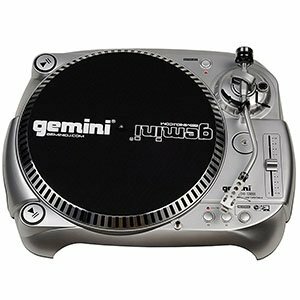 As you probably know, entry level turntables most often bring complete integration. That means a built-in amplifier and no serious upgrade paths. All that changes when you add $100 to your budget. The great thing about $200 record players is that they are somewhere in the middle between a beginner friendly package and enthusiast level. You will often see built-in amplifiers that can be switched off, allowing you to hook the turntable to a standalone amp that is probably much better. That one detail alone is worth the price difference. Next come the features. This price range is where we start seeing balanced tonearms, anti-skate, lift control and similar stuff. One you get into the details of how to work a record player, all of these features become important. To some, all of this probably seems excessive. However, you need to look at it this way. A better turntable with adjustable components is not only going to give you better quality of audio, but it will prolong the life of your records as well. Just by being able to use high quality after-market styluses, your record collection will be much better off in the long run. In all honesty, there are two ‘entry level’ categories when it comes to turntables. The entry level type that is designed for those who just want to listen to records with little effort. Then we have entry level turntables made for new vinyl enthusiasts, which will give you a crash-course in what record players can actually do. The latter category starts right around that $200 mark. Whether or not this is the right segment for you depends on how serious you are about vinyls and what kind of audio quality you’re after. If you are the type of person who wants to enjoy vinyl sound in the long run, you might want to start right here. Otherwise, you will find that the turntable you bought is extremely limiting, which puts you right where you have started in the first place. Not to mention that cheap record players depreciate extremely fast. Spending $200 on a turntable is probably the best way to get into this hobby the right way. We try not to judge anyone because enjoying vinyl, even with a cheap turntable, is something we can get behind. But. There’s a big ‘but’ there. We think that a $200 model will get you much more bang for your buck if you’re passionate about records. Ones listed above are all geared towards that kind of experience, which is why we’ve chosen them for this guide. Again, try to do as much research as possible since there is so much to learn.